Vodafone has appointed Grey London as its lead creative agency across all its £53 million UK business. Grey won the account after a pitch against the incumbent Rainey Kelly Campbell Roalfe/Y&R. The telecoms giant previously used RKCR/Y&R for its UK consumer activity and hired Grey London last March to handle its network differentiation campaign. Grey London will now handle all this activity, with the first campaign expected in April. Daryl Fielding, the director of brand marketing at Vodafone UK, said: "We have been aiming to bring our focus our consumer brand work into fewer agencies for some time, as this allows us to foster a closer working relationship with them and also ensures greater consistency across all channels. "The Grey team has demonstrated their understanding of the category and the market challenges, as well as our commercial needs. "They successfully translated this insight into a new, well-branded and scalable creative vehicle and we look forward to a long and fruitful relationship." 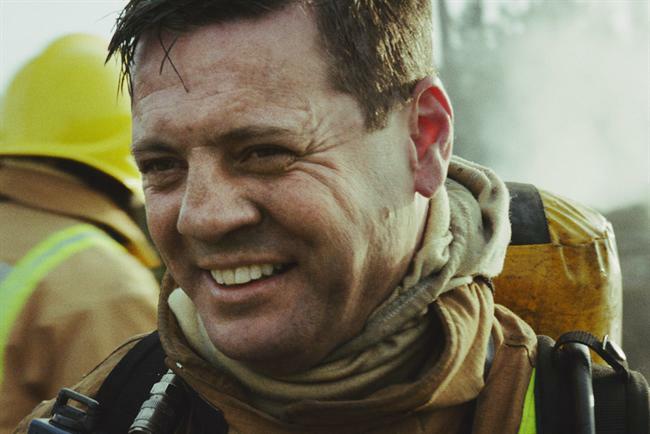 The first piece of work on the campaign was "the call", which showed a fireman tackling a blaze while a voiceover – provided by Grey’s deputy executive creative director Vicki Maguire, who plays the role of his wife – explains how he always calls home after finishing work. The ad was later banned by the Advertising Standards Authority. Chris Hirst, the chief executive of Grey London, said: "We’re thrilled by the opportunity to work even more closely with the Vodafone team to make one of the most recognisable brands in the country even more iconic." Grey has worked with Vodafone globally since 2011, when it picked up the Ireland business. RKCR/Y&R picked up the Vodafone UK account in August 2011, when it beat a closed WPP pitch involving Ogilvy & Mather and J Walter Thompson. The telecoms provider had previously worked with WCRS. Vodafone shifted its global £600 million media planning buying business into Group M's MEC in April last year. It previously worked with Omnicom's OMD. In 2013 Vodafone spent £52.9 million on media, according to Nielsen. It spent an additional £21.8 million on door drops.